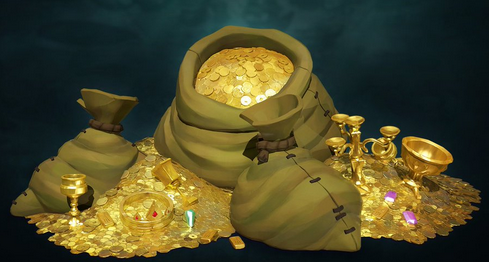 The life of a pirate is all about obtaining as much gold as you possible can, and in Sea of Thieves, this is no different. However, instead of life as a real pirate, you will make most of your money in this game by completing Quests that are commonly referred to as Voyages. You will be given Voyages from the three main Trading Companies, including the Gold Hoarders, the Order of Souls and the Merchant Alliance. Each Voyage given by these Trading Companies will range in tasks from one company to the next, but each company will give you quests that fall under a specific theme. Voyages given to you by the Gold Hoarders will revolve around solving maps and riddles in order to find buried treasure, and they will reward you with anywhere between 50-2000 gold depending on the treasure you return to them. Voyages provided by the Order of Souls will revolve around defeating Skeleton Armies headed by Skeleton Captains in order to obtain Bounty Skulls, rewarding you with anywhere between 100-2000 depending on the type of Bounty Skulls you return to them. 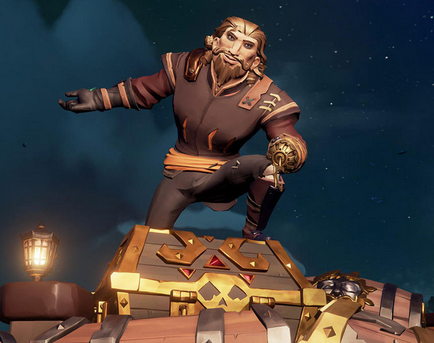 And finally, the Merchant Alliance will grant you with Voyages that will see you having to find, gather and deliver specific animals and trade goods to a specified Outpost before a given deadline, with you receiving anywhere between 100-2000 gold for your troubles. On top of all of this, always do your best to sell the treasures and goods you find while still apart of their associated Voyages. If you don't, the Trading Companies will only give you a fraction of the price they would pay if you happened to be on a Voyage for the treasure you are tying to sell. Sometimes you will find buried treasure when not on a Voyage, while at other times you might find and raid a Skeleton Fort to obtain the riches within. In these cases, it's okay (and actually recommended) to sell the treasures you find for a discounted price, as receiving any money is better than your treasures being stolen and receiving no gold at all. Outside of these given scenarios, however, always try your best to only sell the treasures you find during the Voyages for said goods.